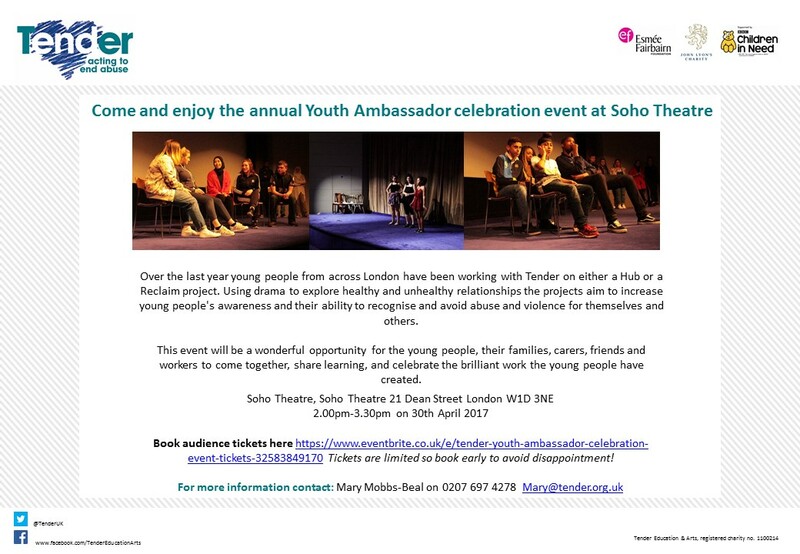 Over the last year young people from across London have been working with Tender on either a Hub or a Reclaim project. Using drama to explore healthy and unhealthy relationships the projects aim to increase young people’s awareness and their ability to recognise and avoid abuse and violence for themselves and others. This event will be a wonderful opportunity for the young people, their families, carers, friends and workers to come together, share learning, and celebrate the brilliant work the young people have created.